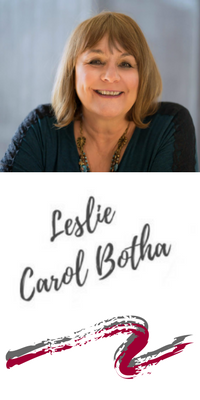 Leslie Carol Botha, Women’s Health Educator, author, publisher, and broadcast journalist is an internationally recognized expert on women’s hormone health. Her work emphasizes the significance of the hormone cycle and its profound relationship to women’s psyche. Botha’s 35 years of research demonstrates how hormone changes/fluctuations in the menstrual cycle affect women’s physical, mental, and emotional well-being. Botha posts her research and articles on women’s hormonal health on her blog Holy Hormones Journal. 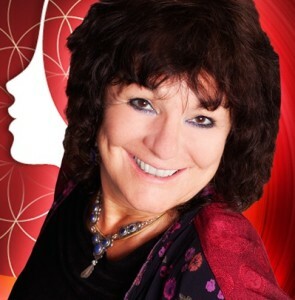 She is the co-author of Understanding Your Mind, Mood, and Hormone Cycle. Botha has been a broadcast journalist for over 30 years. Her widely acclaimed radio show, “Holy Hormones Honey – the Greatest Story Never Told!” airs weekly on The Liberty Beacon Media Network. In 1984, Botha was the founder and publisher of Changing Woman Magazine – a regional and international publication that honored women who were the ‘gentle warriors’ of change in their communities. In 1988, Botha was awarded the “Woman of Achievement Award” by Women in Communications, Inc., Denver Professional Chapter. Botha is a member of the Society for Menstrual Cycle Research, and an honorary advisory board member for the Cycles Research Institute. She also sits on the board of directors of the National Association for Premenstrual Dysphoric Disorder. In 2006, Botha received the Edward R. Dewey Award for her pioneering research on how women’s hormonal fluctuations affect their behaviors by the Foundation for the Study of Cycles. In 2013, Botha and her co-author H. Sandra Chevalier- Batik released their groundbreaking book entitled: Understanding Your Mind, Mood, and Hormone Cycle. The book explores on the very essence of a woman’s being — the fundamental nature of the female hormone cycle; and was written to fill the void of practical, endocrine system and menstrual health education that focuses on understanding the delicate mind/body connection; the neuro-endocrine-immune system — an innate connection with the power to bring about health or disease. In 2014, Botha’s & Batik’s work was included in a book entitled: Teenage Girls: The Guide for Health, Wellness & Self Esteem, by Professional Woman Publishing. In 2015, Botha’s work was published in an anthology of writings by feminist spiritualists entitled: She Rises: Why Goddess Feminism, Activism and Spirituality? She Rises puts forth ever-unfolding patterns of Goddessian thoughts, experiences, and visions expressed through a variety of works including short writings, poems, essays, artworks, and research papers.